When we think about the most terrifying thing in the world, more often than not we think of killer clowns. They just send shivers down our spines. So if you want to dress up as something truly terrifying this Halloween, take a look through our collection of evil clown costumes. 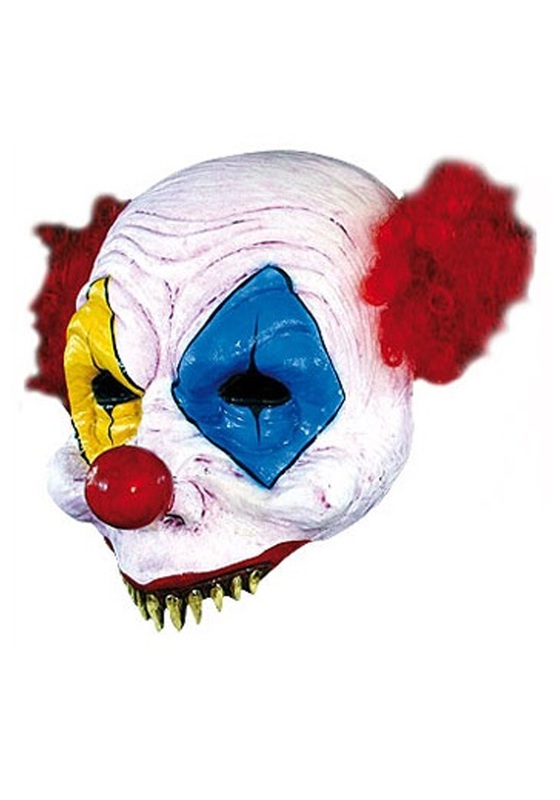 Then after you find your dream clown costume turn it into a nightmare with this haunting Scary Clown Half Mask! You will look as if you crawled out of the depths of childhood fears and into the party scene with this disturbing accessory. When you walk around with this mask on your face, no body will want to visit whatever circus you came from, in fact, they might just turn and run the other direction. Finish off your scary clown disguise with a gnarly makeup job on your lower jaw and maybe even one of our killer clown toy weapons! You'll be sure to get the last laugh this Halloween.